Throwing a baby shower is always quite a stretch, especially when it is that of a giraffe theme! Take your guests on a safari through Africa by celebrating the baby-to-be what this animal-inspired baby shower! 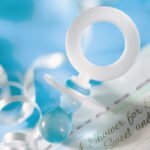 Before purchasing invitations for the baby shower, you need to make a list of who to invite. Although the list may be longer than a giraffe’s neck, this is all the more reason to make a list. 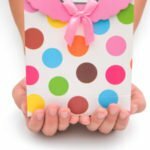 Once you know who you’re inviting, it’s time to find the invitations! You can most likely find whatever you’re looking for at the party store, but why purchase something that is so common? 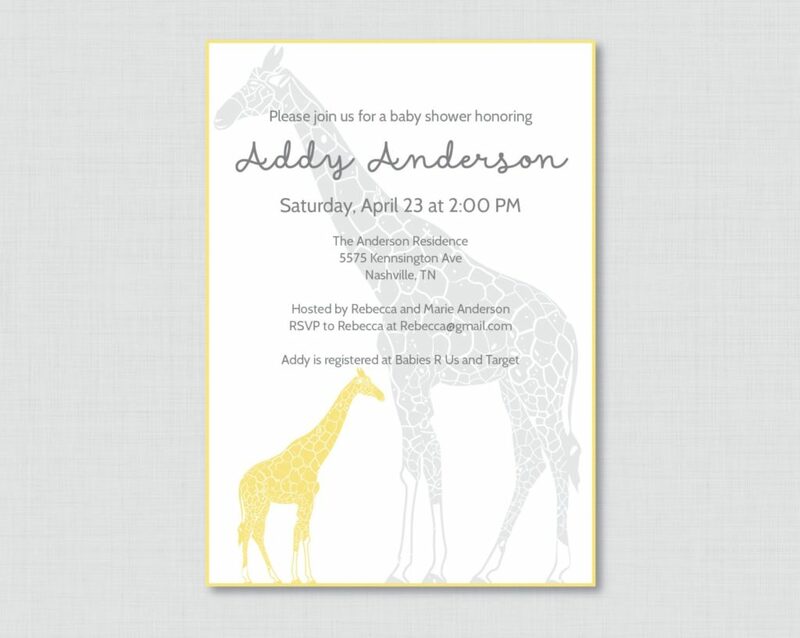 You can find something perfectly personalized online, like these super cute giraffe invites from Shower That Baby or these from Planet Cards, with a price tag that’s not sky-high. The best part is you’ll save time, money, and gas by shopping online instead. When it comes to a giraffe baby shower, the color scheme is pretty cut and dry since a giraffe is typically a variation tan and brown. Depending on the gender, it is also a cute idea to select a pattern that coordinates with the colors of the gender. For example, mixing in blue polka dots with the giraffe print. This way, it can make it easier to coordinate the tableware, banners, balloons and so on. Balloon animals: Balloon animal giraffes are quite easy to make as long as you have the lung capacity to blow up those skinny, long balloons. Your lungs will thank you if you buy a pump! Wrapping paper: Giraffe print wrapping paper may be easier to find than decorations with giraffe print already on it. This is the cheap and easy alternative for wall covering and table decorations, and can be used in many DIY decorations! Even if you find plenty of giraffe decorations, it may still be worth getting a couple of rolls from the store. Giraffe Plushes: It is a giraffe baby shower, so having these little guys (or girls!) can really accent the baby shower, and double as either game prizes or shower favors! Love this design by Sweet Peach Paperie and Holly Kittle Photography! Just because this is a giraffe baby shower, it doesn’t mean your guests will have to stretch into a tree to eat. Although it won’t hurt to include some type of vegetation to snack on, it shouldn’t consume the entire menu! Spotty cupcakes: Cupcakes can be dressed up to suit any theme, so for these, you can make the frosting a tan color and add brown spots, or even brown M&Ms! Safari sandwiches: This is a sandwich platter with sandwiches cut into the shape of a giraffe. It’s as easy as using a cookie cutter! Safari squeeze: This can be any type of punch or juice you desire, just make sure you serve it up in longneck bottles! Tie a cute giraffe print bow around each neck, or hand paint each bottle if you allow yourself the time. 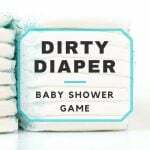 Baby showers need something to add to the fun, and games are the answer! 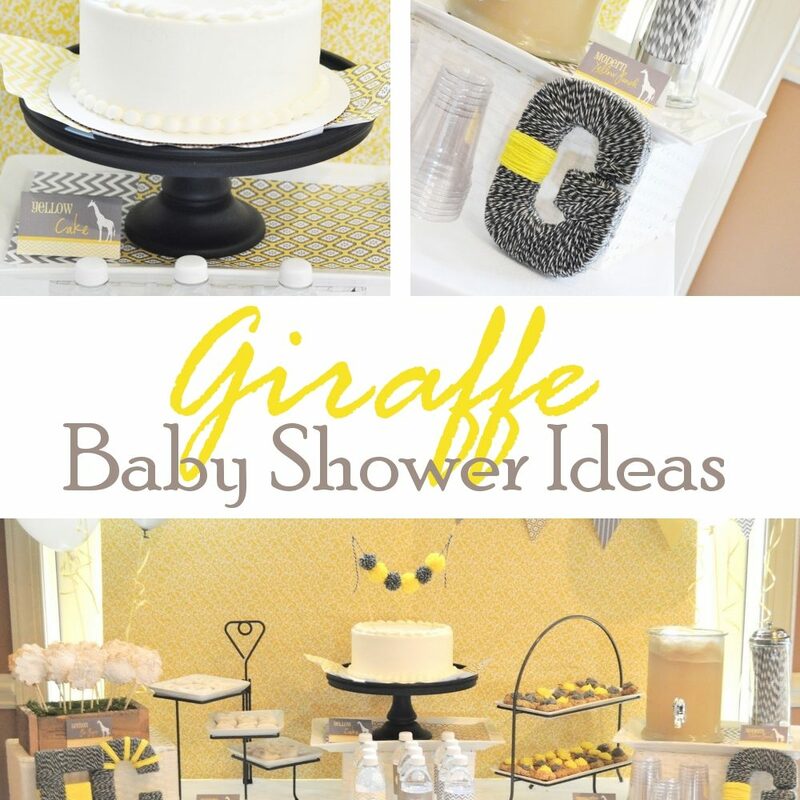 For a giraffe baby shower, think outside of the box from the typical word games played at many baby showers. Get your guests on their feet! Here’s a few games that your guests are sure to love! Balloon animal contest: Who can make the best balloon animal giraffe? No pumps allowed! The mama-to-be is also the judge-to-be in this game! It’s a stretch: Or jump, or whatever you have to do in this game! string apple slices up high, but not too high. Each person will line up with a slice and get creative with how they get it into their mouths. No hands allowed! Pick a leaf: Make a tree decoration for the wall with a bunch of leaves that can be “picked” off. Each leaf will have a number on the back that will coordinate with a prize. Shower favors are a great way to say “thank you for coming” and also to signal the end of the baby shower. I can be something as simple as animal crackers inside of a cute, themed box or those little giraffe stuffed animals that you’ll likely have his decorations. As long as you hand something out as a token of appreciation, nobody will judge you if you have to stretch a dollar. Special thanks to Sweet Peach Paperie for this adorable design! 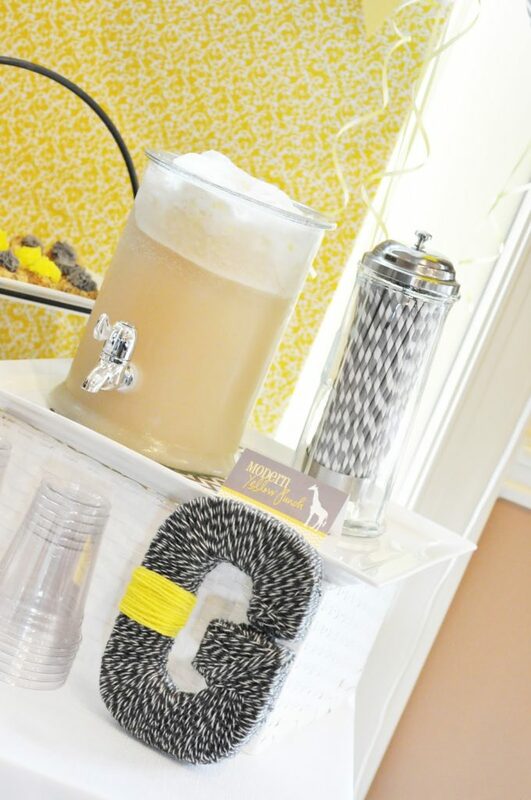 Be sure to check out their Etsy shop when you’re planning your giraffe themed baby shower!